This image shows the Hastings Lifeboat, Charles Arkcoll II, being moved through Robertson Street to BoPeep for launch on 25th April 1908. It would have been quicker to pull the lifeboat than row it against a strong westerly gale. There areÂ several photographs of this launch on the internetÂ such as this one and this one. The last photo shows what dreadful conditions they rowed out in to. Why they launched, I cannot find out. The town has had an RNLI boat for over 150 years. After watching helplessly as a ship was wrecked off of the coast with loss of four lives in 1857, Hastings residents demanded that the town had an RNLI lifeboat. 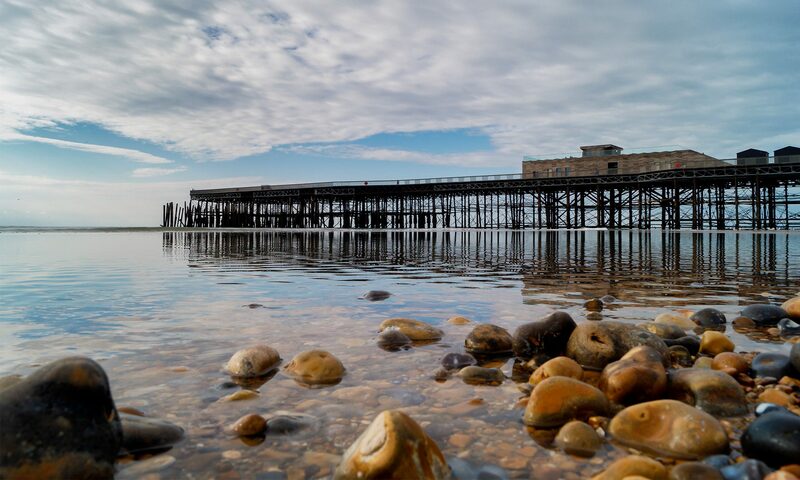 In 1858 the first Hastings lifeboat named Victoria was in place, housed where the Aquarium is now. That boat was replaced by the Charles Arkcoll named after a man that was born in Hastings but moved to Maidstone. His affection with Hastings was such thatÂ his son provided funds to buy a lifeboat and construct a new lifeboat house as a memorial for his father. Construction of the lifeboat house was completed in 1882 and can be seen in this photograph. The first Charles Arkcoll lifeboat served from 1881 to 1901 before being replaced by theÂ one in the image above. I found the original image here on Flickr amongst some other great vintage photos of Hastings and St Leonards. A photo of the same scene today is below that.